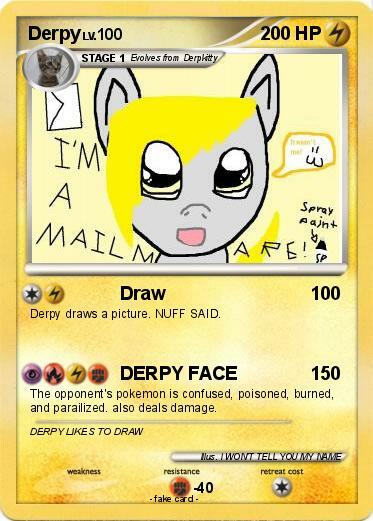 Derpy draws a picture. NUFF SAID. The opponent's pokemon is confused, poisoned, burned, and parailized. also deals damage.